There is something thrilling about a brand new car pulling up to your house for your own personal pleasure for a full week. Usually, when we have a new car for the week, we go on adventures we wouldn’t always allow ourselves. Because of that, I always look forward when a new car pulls up to our house for the week. What adventures will await us this time around? 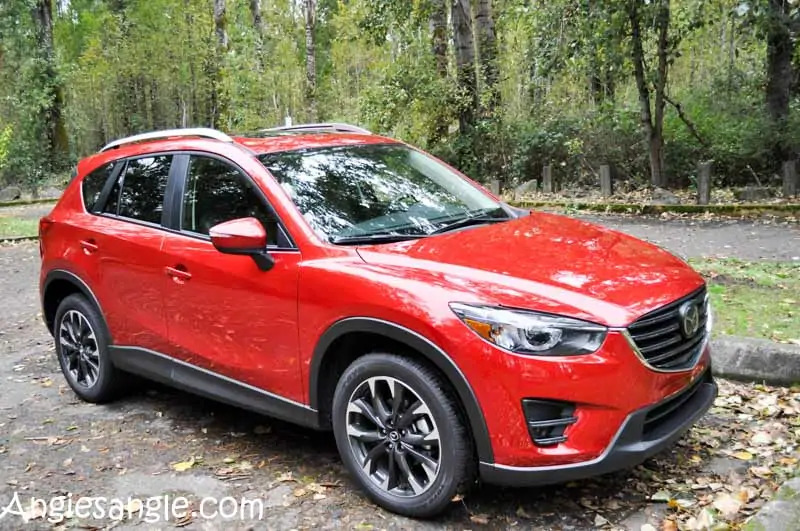 We were especially excited with the 2016 Mazda CX-5 that pulled up to our house because it was one of the cars we have been eying for our next new car. Sadly, life decided that a fun adventure wasn’t in our cards. If you read my last week’s Catch the Moment, you have already read that my husband ended up getting elbowed right in the eye socket. 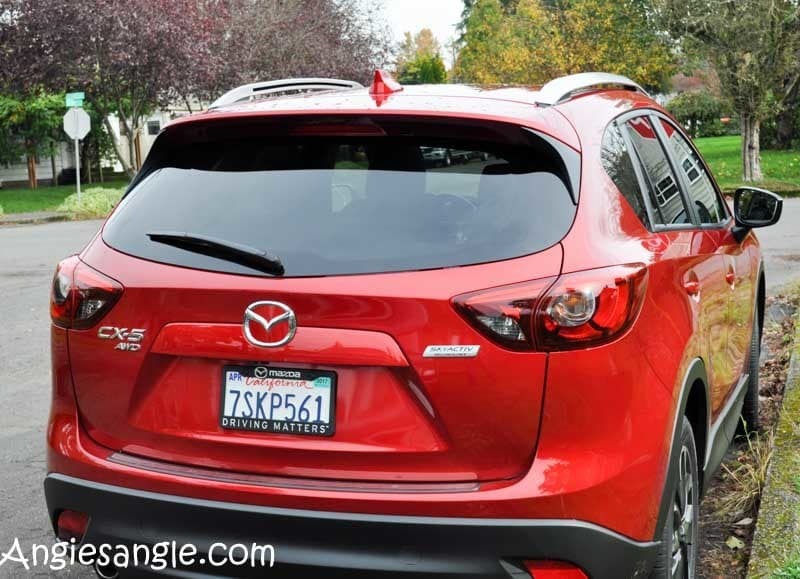 Which just happened to happen the very first day we got the Mazda CX-5. Which unhappily lead to doctor appointments and making up time for a missed day of work. All of this left us with a lot less car time than normal. But, that doesn’t mean we didn’t get to actually get the feel of the car or be able to enjoy some of the useful and fun features. I will let you in on a little secret. I don’t like driving at night and I especially don’t like driving at night with it raining. It’s so hard to see while driving at night for me and the rain only makes it worse. Wouldn’t you know though that Jason couldn’t drive and it was pitch dark and raining? My most hated and feared driving conditions combined. 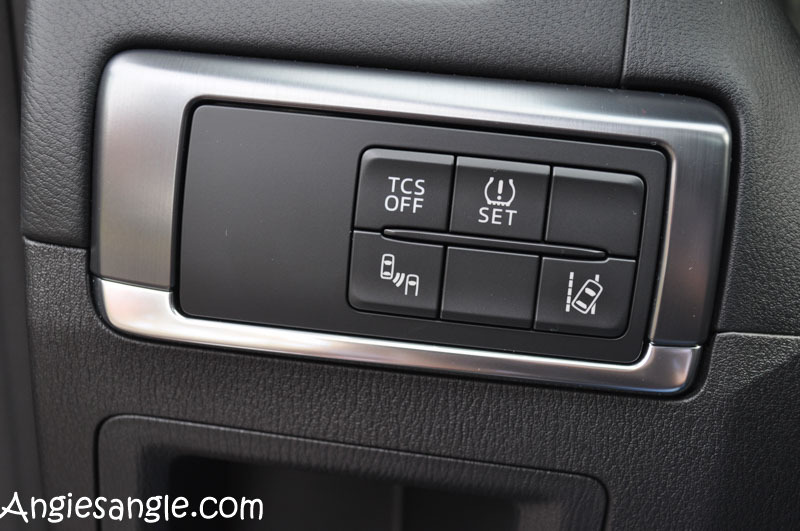 I mention this because I was very impressed and thankful for two features in the car for these conditions: the variable rain-sensing wipers (which come standard) with fixed intermittent rear wiper and the LED headlights (which are part of the optional equipment). Those helped me see so much better in these conditions and I was grateful. Also, the Mazda navigation system (nice to know that this is standard) helped direct me to the urgent care when I didn’t know exactly where I was going that first night. Don’t worry about not having the power you want in this cute little model. With Skyactiv-G 2.5L engine and a flip of a switch you can be in sport mode that gives you 184 horsepower and 185 LB-FT torque. 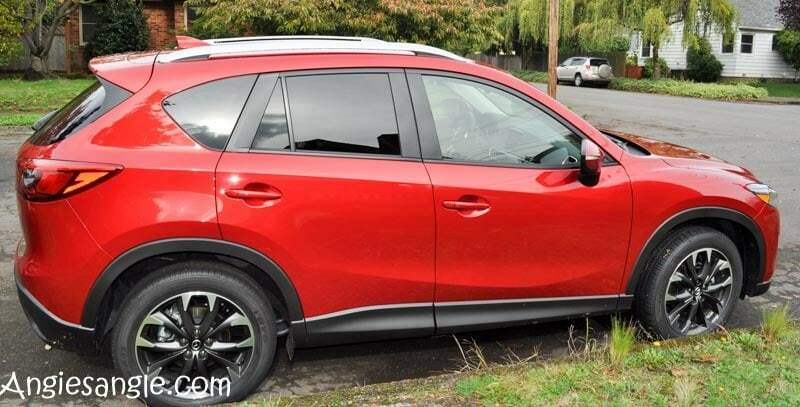 It is also all-wheel drive so whatever driving condition you come across this Mazda can help you through it all. 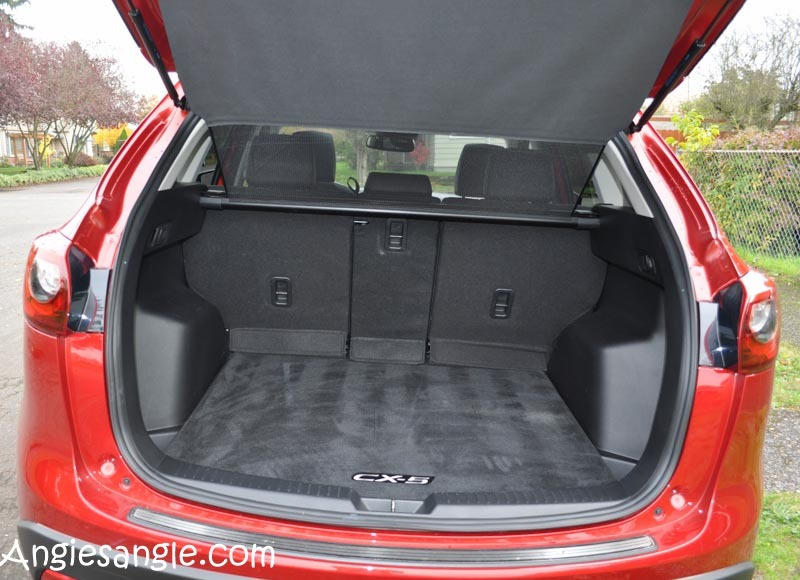 Are you curious about the gas mileage? It’s actually not bad at all. An average of 26 mpg for combined city/hwy, you’ll be good to go for awhile. 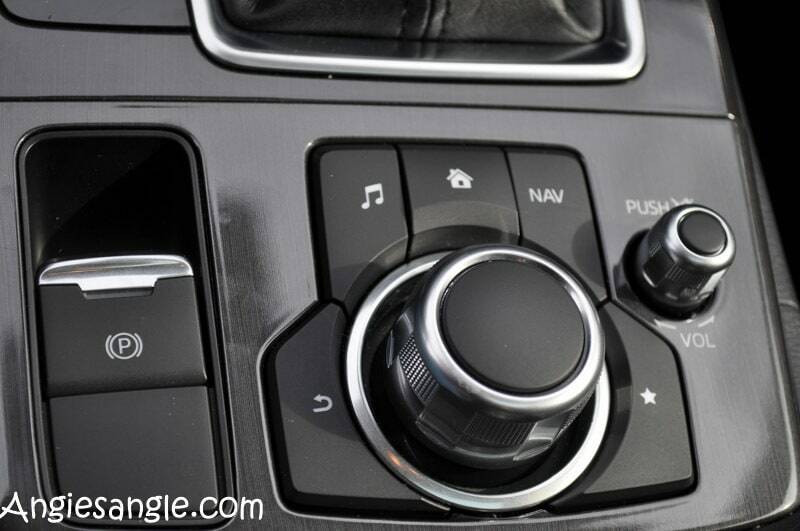 The Mazda Radar Cruise Control is part of the GT I-ActivSense Package. 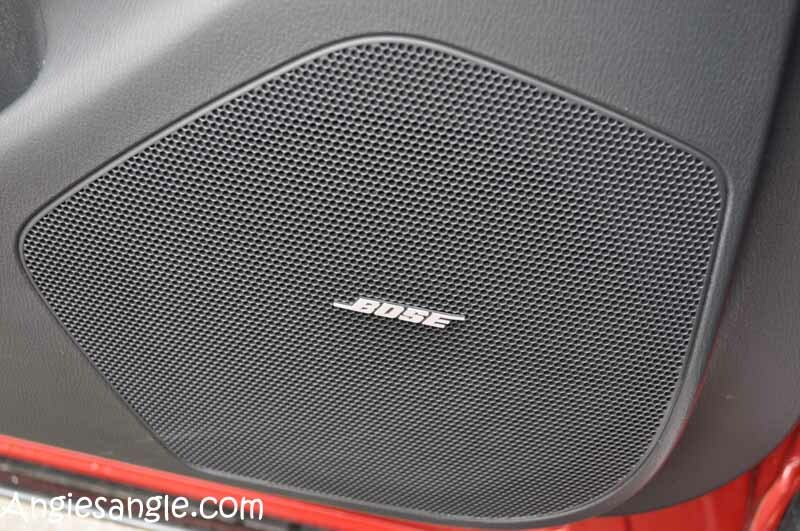 Which also includes: smart brake support, lane departure warning and high beam control. 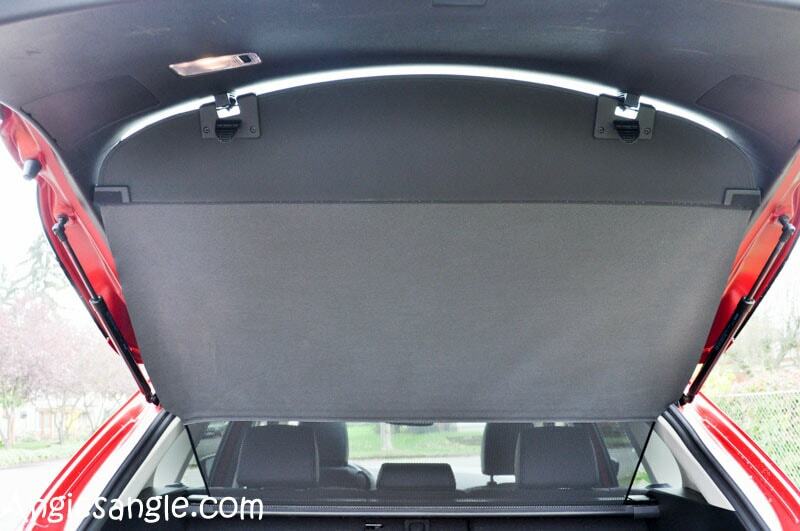 As mentioned above the LED lights are part of what is called Grand Touring Tech Package which is basically all LED lights with adaptive front lighting, smart city brake support and auto-dim mirror with Homelink. There were a few small features we were not a fan of which included the front passenger seat not being powered adjustable and having to manually try and adjust it. Also, I wasn’t a huge fan of the placement of the front center console cup holders. They seemed awkward to get at. But, I did like there were also cup holders in the doors. Which is nice for me since I usually always have my water with me. At least then I had two places for my maybe two cups at a time. 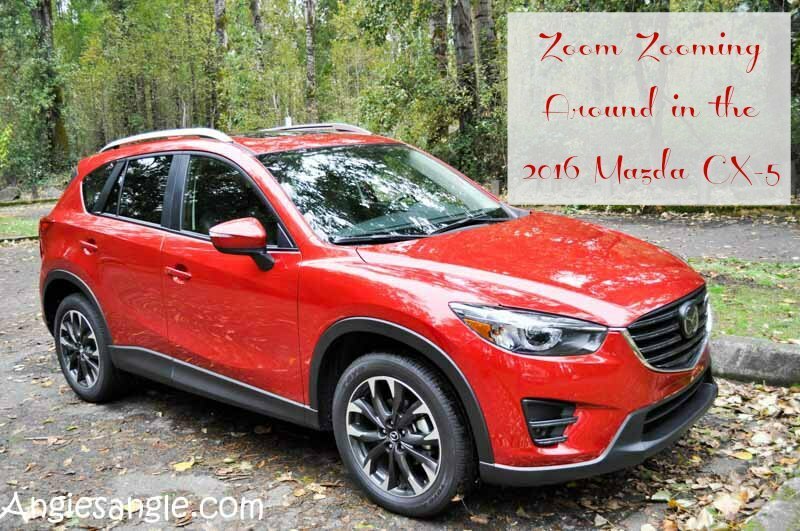 Overall, we enjoyed this 2016 Mazda CX-5. Starting MSRP is $29,870 while with the additional optional equipment could run you right around $34,000. Could we see ourselves in this as our next vehicle? Could be very likely. Are you in the market for a new car? 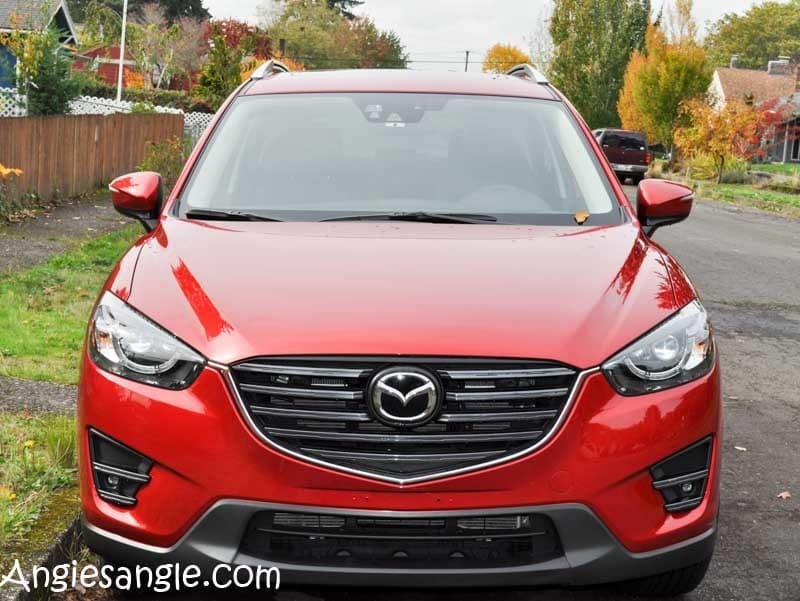 Could this Mazda CX-5 Grand Touring be it for you too? 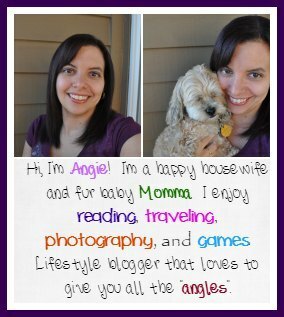 Any questions that I may not have covered? Please, ask and I’ll try and answer them.